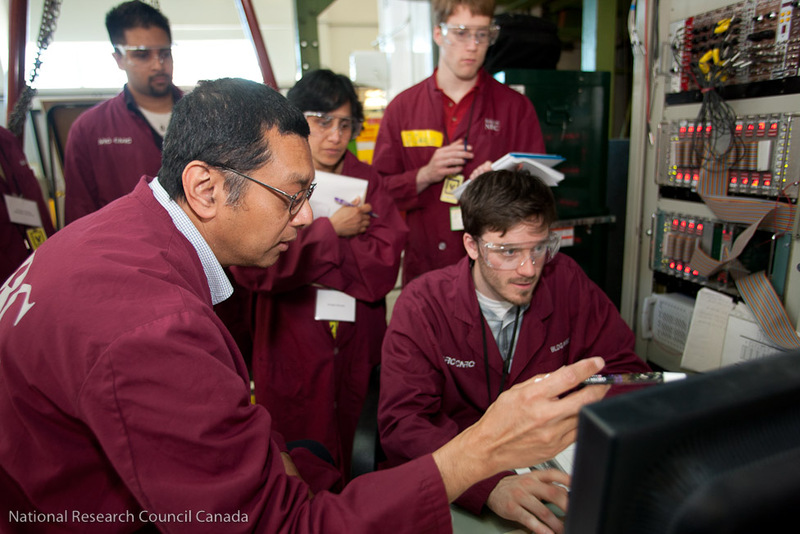 The Canadian Institute for Neutron Scattering held the 12th Neutron Scattering Summer School at Chalk River on June 2 – 7, 2013. 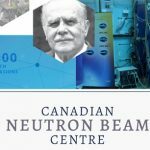 The school was organized by the Canadian Neutron Beam Centre. The curriculum is a broad overview of neutron methods and applications in a wide range of scientific areas, such as magnetism, industrial, and soft materials. The school is aimed at graduate students and post-docs who have no prior knowledge of neutron scattering techniques, and with backgrounds in physics, chemistry, materials science, biology, or mineralogy. 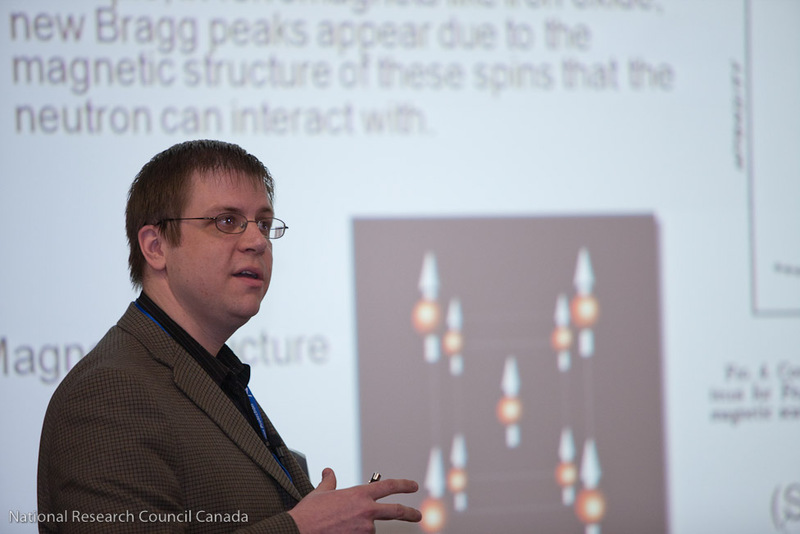 Chris Wiebe (University of Winnipeg and University of Manitoba) explains how neutron beams are excellent probes of magnetic materials at the 2011 summer school. Photo courtesy of NRC. 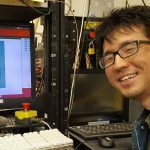 Zin Tun (CNBC) explains the measurement of nano-structures at surfaces, using the user interface terminal of the D3 neutron beamline at the 2011 summer school. Photo courtesy of NRC. 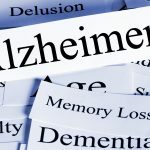 The aim of these workshops is to provide the interested students with a more in-depth look into real research examples of neutron scattering applications and techniques in a specific scientific area. The students are required to indicate which workshop they wish to attend at the registration. Because of AECL’s close connection to the nuclear industry, past neutron scattering projects with AECL have had short and long term industrial application. As well, nuclear reactors for power and research face interesting materials challenges from in the core out through the balance of plant resulting in a broad range of topics. Evening events include a mixer, a barbecue and one public lecture. The mixer held on Monday provides an opportunity for the students and lecturers to get to know one another and socialize. Students are encouraged to bring posters to show off their research on that evening. The school barbecue will be on Thursday night. Information related to the public lecture will be available at a later date. Robert A. Robinson will present “The Australian Experience with a New Multi-Purpose Research Reactor for Scientific Research, Isotope Production and Silicon Irradiation,” on Wednesday June 5, at 7:00 PM at Child’s Auditorium at the Mackenzie Community School in Deep River. Dr. Robinson is the Head of The Bragg Institute of the Australian Nuclear Science and Technology Organisation. Presentation Abstract: The OPAL Research Reactor is one of the newest high-performance neutron sources in the world. The Australian Government made the funding decision in 1997 and the contract was signed with the Argentinian company INVAP S.E. to construct a 20-MW research reactor, with large cold source, guide hall and modern supermirror guides. The low-enriched uranium fuel was loaded into the OPAL reactor in August 2006, and full power (20MW) achieved in November 2006. The formal scientific user program commenced in 2007, on the initial suite of seven neutron beam instruments. The user base is approximately 50 percent from Australian universities, 20 percent from the host organization (ANSTO) and 30 percent from overseas. 6 further instruments are in commissioning or are nearing completion, and substantial additional investment is also being made in sample-environment, extra instrumental options, polarised-neutron technology, and both chemical- and bio-deuteration facilities. I will outline the strengths and weaknesses of the neutron-scattering method, and show its application to such pertinent issues as lithium-ion batteries, oil and gas recovery, magnetic recording, food science, superconductivity and so on. An update will be given on the status of OPAL, the performance of its thermal and cold neutron sources and instruments, together with a selection of recent scientific results and future plans.